There is no "Empty Space" -- the space without time doesn't exist! Space with Time is DRAMATIC! ... chronotope & "montage principle" in theatre. 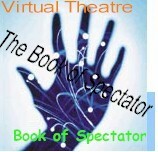 "Book of Spectator" topics : TIME + SPADE in Theatre Theory [ time as space and space as time ] "Subjective Time" & "Dramatic Space"
Chronotope [time + space]: I can't talk in detials about this category, you should go to the Time in Script Analysis. Here we only use time and space to understand how actor actor controls and operates the spectator's choronotope (also, see The Book of Spectator on theory of subjective and objective time-space). In our case we treat time and space not as themes, but actor's and spectator's unified fields and apparatus of emotional communications. BM Forum (old, archives) "The rest is silence." (Hamlet) -- Now you can act! This chapter is very important and very theoretical. As I said, I use the term chronotope introduced into literary theory by Mikail Bakhtin, developed around the same time, when the theory of biomechanics was formed. 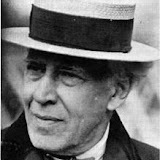 Meyerhold believed that Actor is Artist and everything that applies to a composer or a writer, does work for actors. If we to accept the notion that any performance is a "composition" -- we can see how useful the Concept of Chronotope is. I have to move the theory issues to different places: The Book of Spectator and Theatre Theory (Chronotope). Also, this topic must be studying together with Time and Space pages/chapters. There are several subjects (vectors, axis of action and so on), I can't touch without dealing with the general ideas of "physics" of stage. Folks, I already overloaded BM pages (see new BM I, reorganized for Intermediate Acting). The acting area is the area within the theater where the action takes place. dialogism: the constant, endless state of intentional and value-laden dialogue into which every word enters. heteroglossia: the diversity and stratification of languages or voices to be found within a work. p.250 "The chronotope is where the knots of narrative are tied and untied" // Time becomes, in effect, palpable and visible; the chronotope makes narrative events concrete, makes them take on flesh, causes blood to flow in their veins". Thus the chronotope, functioning as the primary means for materializing time in space, emerges as a center for concretizing representation, as a force giving body to the entire novel. All the novel's abstract elements - philosophical and social generalizations, ideas, analyses of cause and effect - gravitate towards the chronotope and through it take on flesh and blood, permitting the imaging power of art to do its work." p.256 The literary context is vital. "The author's relationship to the various phenomena of literature and culture has a dialogical character, which is analogous to the interrelationships between chrontopes within the literary work". But these dialogical relationships enter into a special semantic sphere that is purely chronotopic". The author is "tangential" to the work's chrontopes; s/he is always outside the text - the two worlds can never be chrontopically identical: "every image is a created, and not a creating, thing." ... Conceived of in analogy to Einsteinian mathematics in the 1930's and 40's, the chronotope serves a means of measuring how, in a particular age, genre, or text, real historical time and space as well as fictional time and space are articulated in relation to one another. 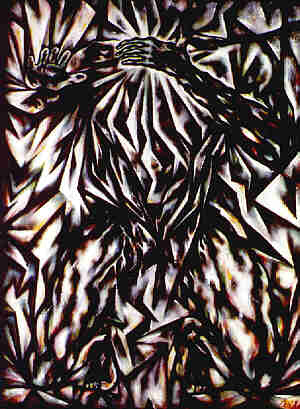 Derived from the Greek, "chronos", meaning time, and "topos", meaning "space", Bakhtin's choice of the term conveys the inseparability of the two concepts in his view. The chronotope operates on two important levels: first, as the means by which a text represents history; and second, as the relation between images of time and space in the text, out of which any representation of history must be constructed. The chronotope of a particular text thus functions as an ideological index � however, the concept of the chronotope may also be used to discuss a whole genre such as the road movie. In some chronotopes, mainly those of travel and uprooted modern life, time takes precedence over space; in the more idyllic, pastoral chronotopes, space dominates time. The particular way in which these indicators intersect in a text is what constitutes its characteristic chronotopes, which are also affected by historical factors such as attitudes to nature, geography, class, race, and gender. ... Bakhtin furthermore claims that the clearest textual expression of the link between space and time in Western culture is the road narrative, in which time spent means ground covered. In The Dialogic Imagination, Bakhtin wrote of what he called "adventure narratives" that "[o]f special importance is the close link between the motif of meeting and the chronotope of the road ("the open road", and of various types of meeting on the road. In the chronotope of the road, the unity of time and space markers is exhibited with exceptional precision and clarity" (1981: 98). What is more, Bakhtin realized that "[t]he road is a particularly good place for encounters" since people who are normally kept separate by social and spatial distance can accidentally meet: "any contrast may crop up, the most various fates may collide and interweave with one another" (1981: 243). Thus, the notion of the chronotope can be used to account for the apparently blank, abstract space of the road becoming full of charged meanings. Bakhtin furthermore emphasizes the fact that the road chronotope is a metaphor "made real". He described this process, which is true of all chronotopes, as follows: "Time, as it were, thickens, takes on flesh, becomes artistically visible; likewise, space becomes charged and responsive to the movements of time, plot, and history" (1981: 84). "This study uses Mikhail Bakhtin's chronotope, which is the informing principle of one's experience of space and time, to explore different relations among space, time, actors, and audience in medieval theatre. Relations between the material and spiritual worlds as understood in the Middle Ages are considered in the context of relations between performers and audience members with two goals. First, I explore how the ontological status of the metaworld created through performance changed in the context of specific chronotopes. 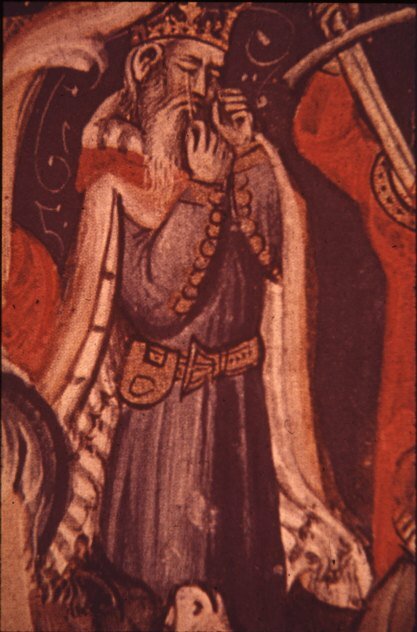 Second, I explore how diverse religious discourses affected medieval modes of representation. This study posits three chronotopes of performance informing medieval theatrical experience. In the sacramental chronotope, disciplined bodies moved through spiritual geographies in Latin liturgical dramas to bring participants into contact with an ontologically superior divine world. The consubstantial chronotope operated from an ontology of self-sufficiency locating power in the individual's body rather than in a superior being. Within the consubstantial chronotope, performance, and representation more generally, was understood as a tool for the contemplation of ideas rather than as a vehicle for bringing performers into contact with an ontologically substantive world. [ This page is better developed in StageMatrix: Directing. In fact it has a subdirectory. Mikhail Bakhtin uses it (as well as Eistein); the term means that time and space are not separatable. I use it to introduce the creation of the SUBJECTIVE time (more in Spectator Directory and in Film Directing). Drama doesn't exist outside of the show's chronotope, which is a subjective time of a spectator. Of course, director creates it within the spectacle, but actors do have the last word. How does actor establish this "channel"? First, we have to aknowledge the objective (real) dimensions (3 D and the chronological time). This is our material. The time could be conctrol only by the changes in space. This is why Mise-en-Scene is so important. Movement is the answer. What is movement? Physical changes in space and time. If you put together 3D space and time, and yourself in the middle of it, you as a generator of this 4D field of action -- you got it, the chronotope of physical drama. Within this 4D field Actor composes his "texts"! This is SUBJECTIVE time and space formed out of the objective time and space, yours and the public. "Subjective" means transformed by the action. In the BM case, by the movement (motivated = dramatic). The semiotics theory insists that everything is a sign and therefore every move on stage is a statement we "read" (including the absence of motion). Movement is one of many stage languages and should be composed as a sentence. Actor "writes" one sentence after another and we have Actor's Text (for example, in ballet it's poetry genre). The 4D Chronotope is the "paper" where actor "writes" his movement texts. This is why it has to staged (mise-en-scene) or choreographed. Do we have to do it with every step like in dance (one-two-three)? Not at all, but we have to have the design, the pattern to follow. The costume helps. In acting classes (or rehearsals) sometimes I have to force it on: to break the man's walk I tie the knees together to make a "small steps" or feet -- to limit the step. I have to refer you to beliveability principle discussed in System of the Method: if I do not recognize the woman's walk, age, character continuity -- you lost me. Once you lost me, you have to start it all over! How do we know when the chronotope is broken? We notice actor, we are no longer live the character. I am not sure, if you should start with this chapter, or read first Space and Time chapters. Of course I am talking about Actor's Space and Actor's Time! Originally, the idea of chronotope was use by the physics to describe the organic unity between time and space. Since the great revolution of Einstein we came to realization that matter, time and space can't be separated. Through identification with the action on stage, our spectator "experiences" matter, but for the actor "matter" is a subject to work with (or to react to, as like to tell my students). I do not have time to introduce in details the theory of moving points, which is based on Meyerhold's idea, and which can explain the concept of chronotope in visual terms. Imagine that your every motion is lead by one point in your body. You have to identify the center on motion from where the whole movement of your body is generated. In Acting 121 classes I explain it as a center of gravity in order to explain how the age characterization is expressed physically. Where do you think the center of gravity is in a child body? The head of course! It's disproportionally big and they fall on the head all the time! What about man's body? The chest. What about the old age?... On the floor! That the old folks drag their feet, and very old are not able even to take their feet off the floor. Now, using the "center of gravity" principle, try to do three different ages in a simple exercise of geeting up from a chair. In youthful design your head will lead the body; in the old age -- position your center of gravity under the chair and try to lift it. We can move this concept one step further. The gender physical definition. Where is the center of gravity in a woman? We know it from countless parodies -- the hips! But what if I want to extend it further in characterization? Each of us have our own specific position, right? Look around, each in class has his or her own -- try to immitate your favorite classmate! Observation! Remember? All right, now position your center of gravity into your left hand.... You see? Make is a PHYSICAL CENTER of your body! Listen, this center is moving from scene to scene! Hamlet physical definition in his scene with Ophelia is different from the scene with Horatio and etc. Now, imagine that this center of energy (matter) is the source of the subjective space and time you create: this is the sphere where your character exists and the spectator lives in with his (see Identification Principle). Call it the visual center of the drama: your character has it and you, actor, is in charge of it. How all the dramatic focuses in the scene work together? Ask your director. This is the DRAMATIC UNIVERSE of the show. Anatoly Antohin & Theatre w/Anatoly -- Theatre Only! Your (actor's) space and time must be created. The character's chronotope must be maintained. How one role's chronotope relates to another Actor's Text? During the exposition class I talk about establishing the style, genre ("ensemble acting" -- I do not have this page). Read pre-acting and rehearse entrance and exit for your scene and character. Both have the same elements: entrance to recognize it, exit -- to remember. Entrance - first impression (don't miss it), exit -- how the public will remember it (your last chance to place the image of your character into their long term memory)! "Mise-en-scene" is a French theatrical expression for the kind of staging matrix one would find in a director's text with specific arrangements of time and space on stage to control actors, playscript and public. I fear that this page will multiply. "Moving Points" technique asks for its own page. Chronotope [encyclopedia]: A term taken over by Mikhail Bakhtin from 1920s science to describe the manner in which literature represents time and space. In different kinds of writing there are differing chronotopes, by which changing historical conceptions of time and space are realized. Thus the ancient Greek novel is dominated by "adventure time", in which the adventures of hero and heroine occur but which has no developmental impact upon their characters; like the space in which their adventures happen, it is effectively empty. By contrast, the time and space of the chivalric romance, though it retains elements of this adventure time, is dominated by the irruptions of the miraculous, which manifest themselves in narrative terms by the presence of "suddenly". Chronotopes can become condensed in fundamental organising metaphors like the chronotope of the road, by which basic conceptions of time and space get translated into narrative terms. Chronotopic analysis thus seeks to address literary history at a very fundamental level; it mediates between historically created and thus changing conceptions of time and space, and their realisation in the underlying narratives of literary texts.